I decided I would wait for a year or two before attending this event, to give it time to work out the kinks, so to speak. This year, I chose one horse to sign up. I own it myself. And after all, you cannot have an opinion about a program without at least participating in it. I showed it in some classes in Gulfport, Atlanta, in Maryland, Virginia, but was not keen on my fees for these classes being so high. Maybe the prize payout was higher for first and second, but $275 to enter a class wasn’t truly impressing me, and unless you won, you weren’t actually making money. The pre-green challenge class also confused me – what was the purpose of this class, where did it come from? H. The same horse may compete in the USHJA Pre-Green Challenge and the USHJA Pre-Green Incentive Stake class at the same competition. Competing in the USHJA Pre-Green Challenge does not qualify a horse or rider for the USHJA Pre-Green Incentive Championship. Not sure why we need it then, except to give the USHJA some more money. I gave up worrying about qualifying after a while, but received a letter that my horse was indeed able to compete in the final. I wasn’t excited, to be honest. I thought I need to go, in order to sell this horse. So I sent my money in. I showed up on Monday morning, there was a pony in the stall I was assigned, and I remember thinking well how in the world can these two competitions overlap like this, if you were not actually already in Kentucky, like me, and several others, showing the week before in Lexington, Virginia for the Virginia Championships and Lexington National, what do you do, sit in the parking lot and wait? No, the stable manager scrambled to put me somewhere, and graciously never scolded me about my timing. I had heard the stalls were completely sold out, and was initially impressed. That is great. I set up my stall, went to the office, and went to check out the ring. It was pretty laid back, jumps were easy, no problem. Orders were posted late in the day by the office, which closed promptly after posting the order of go, so if you had any questions, like me, good luck. I stared at the wall, and tried to find the end, discovering oh, about 150 people were in my class. 150??? I just drove across the country to compete against 150 people in two rounds? Holy crap. There was no 3’ division and 3’3” division, all of us thrown together in the pile. But I had received countless emails about how much money they were making for this particular event, the prize money was tremendous! So you can’t buy 24 ribbons and split us? nope. It was incomprehensible to me that the first year pregreen horses would compete in a championship with second year pregreen horses. After that I asked myself a hundred times what I was doing there. I looked at the names, and saw a lot of famous riders. Not too many unknowns, but that is what a championship is for right? Famous people. Learning how to compete with famous people. I looked for names I did not recognize and wished them good luck, wondered what their thoughts were. There was a lot of guess work after that, I walked the course, and listened to commentary from the other riders. It apparently was the exact same course as last year. I thought that was peculiar. It was easy too, no bending lines, no questions asked from the course, but I reminded myself these are pre-green horses, some are probably as young as four, who knows. But not even a bending line? I liked the option of the first jump, that was different. You could come to one jump off the left lead, or if you wanted, a different jump off the right lead. The result was the same corner after either jump, and the rest if the course rode easily. However, for a championship, you might want to be slightly more interesting, even the first day. This was compounded in my eyes later when I discovered horses could actually SHOW in the ring right next to the championships over the exact same course. There was a pre-green division running at the same time as the championship! I know I could never have justified the expense for that advantage, but it seemed like everyone else was doing just that. It was confusing to hear the scores being handed out in the pre-green hunter division right next to the championship ring, all at the same time, I am not even sure how the judges could concentrate. Speaking of judges, HOW MANY were in Kentucky that week alone? 6 were needed for the class, and two more for the other two hunter rings? 8 judges that week? Is that right? Golf carts were lined up on the rail, two or three deep, and there was no area for trainers to gather to discuss what was happening. I was hoping to do business, but crawling over peoples carts to get two minutes with a trainer while they were trying to focus on a horse in the ring didn’t seem to be that much of an option. I didn’t discover the OWNERS ‘tent’ until the next day, and was given a bag full of goodies and told I could have snacks over with other owners. I looked around, I was the only one there staring at the granola bars. This might have been a great place to actually offer good food and drinks to the EXHIBITORS, all of us, owners, riders, grooms, with all that money they made this year. Dixie cups and an igloo were offered at the ring for the riders. Dixie cups, for the summers in Kentucky. Unreal. 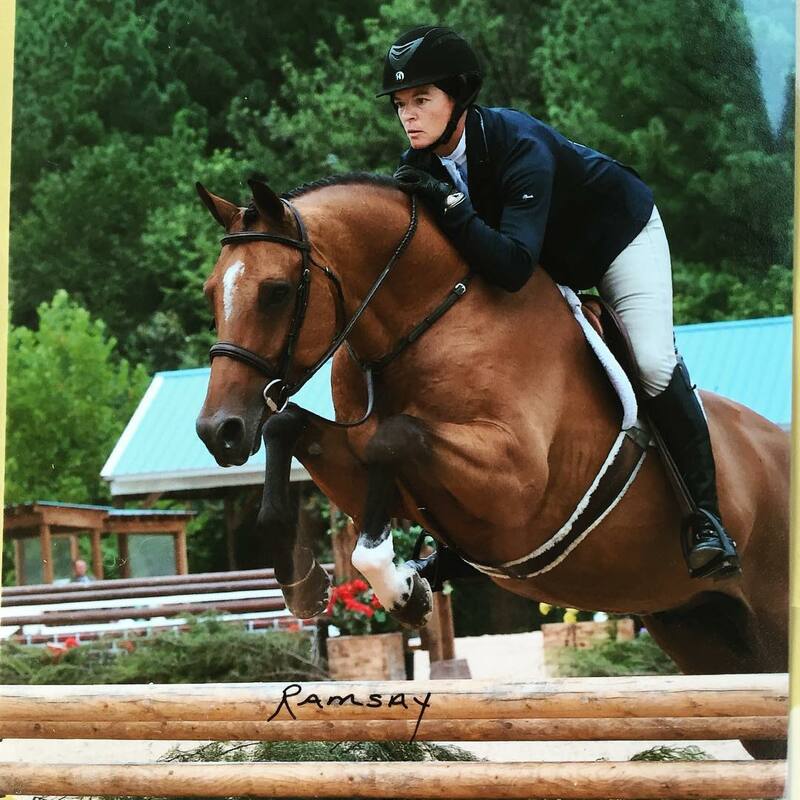 Sponsorship Disclaimer: Reference herein to any specific commercial products, process, or service by trade name, trademark, manufacturer, or otherwise, does not necessarily constitute or imply its endorsement, recommendation, or favoring by the USHJA. 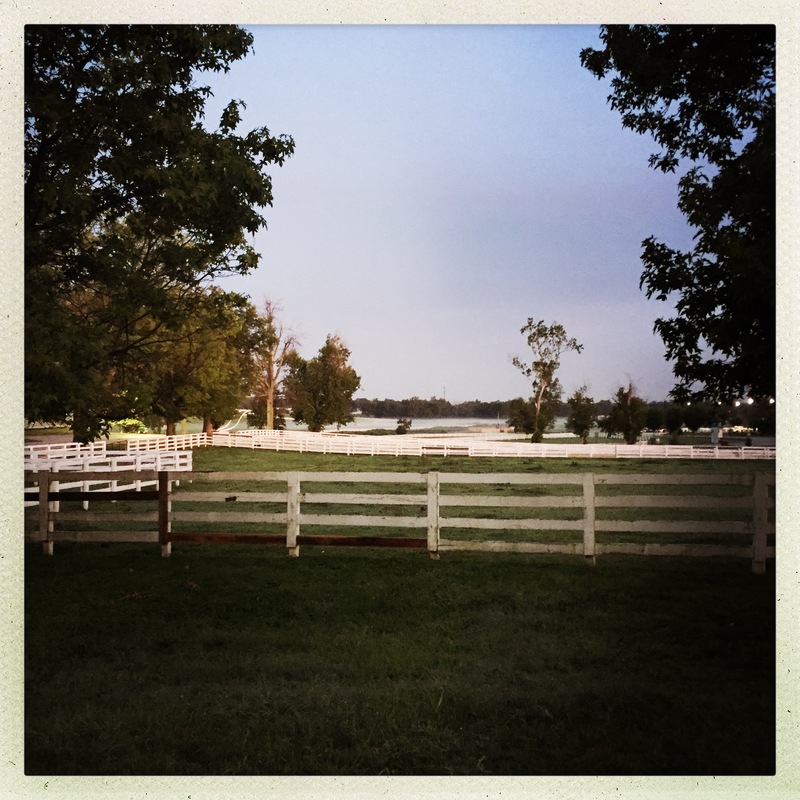 The services, missions, or relations of sponsors do not necessarily state or reflect those of the USHJA, and shall not be used for advertising or product endorsement purposes. the staff was fairly accomplished at getting you in the ring, but not announcing much in the barns. If you did not have a team telling you exactly what was going on, you had to keep running up there to check. I do everything myself, so this was not easy to accomplish, thankfully I went 134th or something ridiculous, so it worked out, but I had more luck on my side than anything else. Showing nerves. I don’t actually have nerves, but all I could think about were the people who had never competed against John French, Scott Stewart, Kelley Farmer, Louise Serio, and everyone else had a lot of reason to doubt themselves here. It was intimidating to say the least. As a sort of joke I took a picture of the start list and posted it on Facebook, claiming how impressive it was. The response to it blew me away, so many people were at home watching online, and literally stopped what they were doing to encourage me not to be afraid. At that point how could I even care? I wasn’t going to win, no matter how easily my horse jumped around. I was only there trying to not embarrass myself, get a score and go back to the barn. Going through the motions. This is probably not cool for a championship. Day two was pretty much the same, but the course was much more interesting this time, and I liked that. I had kind of thought the purpose of this championship was for people to find future derby horses, since there is no model, no hack in the format, so an interesting course is a must, at the very least. I started to ask around about horses for sale, but after hearing prices be over 200k, and as high as 500k, I gave up. 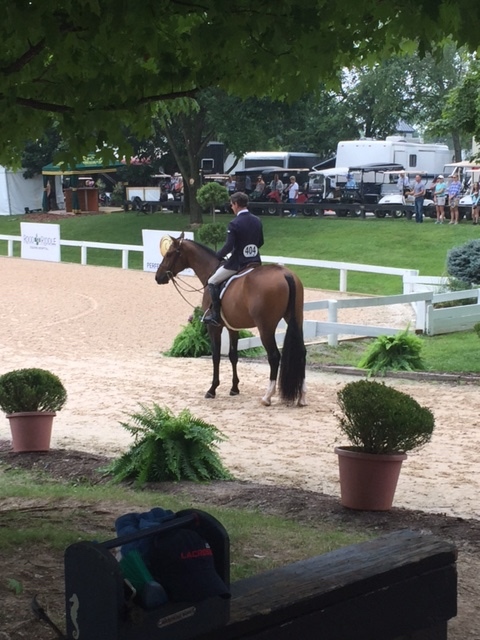 Just being at this final probably shouldn’t justify an exorbitant price for a horse, especially when you can show right next door in a pre-green division, big whoop people. Overall, it was a completely deflating experience, I knew I stood no chance to a prize going in, and couldn’t really get excited about showing in the Stoneleigh ring over a mediocre course. The derby happening at the end of the week was being held in the stadium, the ponies got to show in a better ring during pony finals the week before even. I had spent an enormous amount of money to be deflated and uninspired. I drove home, and was surprised when just about every person wanted to talk about it. Either to say I rode great, or ask if i would do it again. I know how I ride, so that wasn’t much, and I was extremely flattered anyone noticed me online at all, but when asked a hundred times if I would do it again, my response was the same. no. No chance. What would be the point? A championship is something to celebrate, an achievement. I don’t think I achieved anything at all, I wrote an enormous check at the end, and drove home after three days of showing in Kentucky. If a championship is not considered worthy enough to stand alone without a horse show going on in the background, then maybe it is time to seek an alternative. West coast riders and horses travel three times as far as everyone else, why can’t there be a regional final for West Coast horses? The NAL did it for their league after realizing, painfully, no one from the West would come to Harrisburg for one round, and nothing else to show in! I don’t think anyone wants 150 people in their class, especially for a pre-green horse, I am not sure why there isn’t a similar format that WCHR follows with certain professionals competing with peers with similar backgrounds, or any other format, like heats, but I was told there isn’t enough time in the schedule for that. Well, no, there are 150 horses here vying for the title during a busy horse show. The comparison to the Derby Finals is hard. It is a different thing entirely. I love the derby finals, older horses, true horsemanship skills to tackle that course, it is inspiring on every level. It makes you want to go out and get a derby horse right away! Ride better! Win! But if the pregreen incentive finals are used as a stepping stone, I don’t know how you are going to get those mid-level professionals to keep returning. Everyone will try it once, but the trick is for it to be attractive enough to endure year after year. All I can say is ALL equines don’t mature before age 5…..so in my mind riding at 3…showing at 4….jumping??!! Please…this is not opinion.science dictates maturity….and the base of the neck is the last place to “close”. For heavens sake let these babies mature. Just because we can…should we? You are the best! Thank you I’m flattered! Like Jack Daniels sponsoring a little league team.